With the HDR technology, you will experience an enhanced picture quality with brighter whites, deeper blacks, and true-to-life colours. The 3.0 USB port provides a super-fast reading speed from external HDD drives up to 5 Gbps. Some users find the remote control too small. 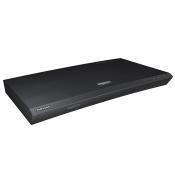 The UBD-K8500 plays 4K Blu-ray discs and guarantees an outstanding picture quality without upscaling. The curved design of the player will definitely accentuate the brilliant look of your curved TV. The HCX colour processor delivers blacker blacks, whiter whites, and a radiant contrast. The processor later interpolates the signals into the player's native ultra HD 4k resolution, leaving you with visuals rich in depth and natural texture. It might not read discs with the tiniest scratches. 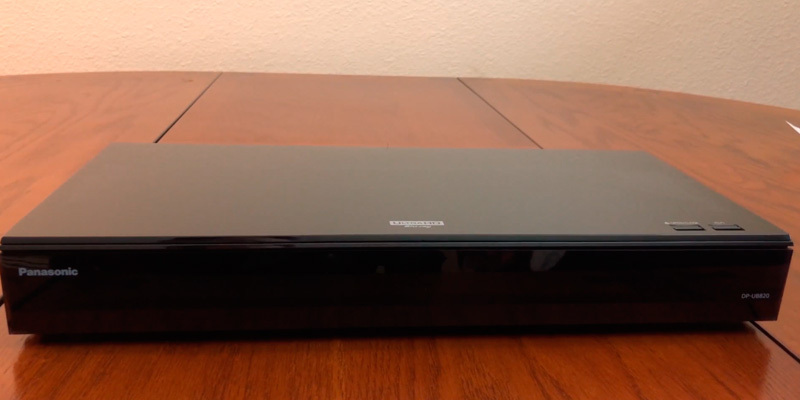 The Panasonic DP-UB820EBK is everything people have come to expect from high-end Blu-ray players and then some for good measure. With this model, you'll be able to experience the very image that was envisioned by the filmmakers. 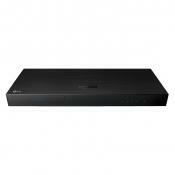 Due to Bluetooth connectivity along with LDAC codec and SongPal app, you can use this Blu-ray player as an integral part of an advanced music streaming system. No high audio resolution support. 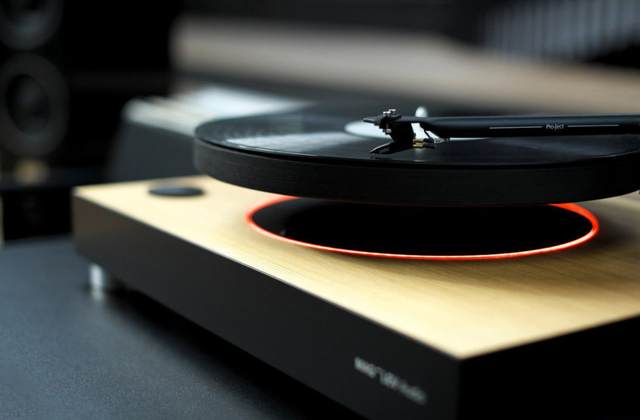 This model is a worthy choice for people who wish to experience brilliant picture and sound quality, yet without spending too much money on a player. Thanks to several built-in audio and video codecs, the player reads 26% more file formats than the previous models, so you will not be limited in content selection. Long response time when inputting text in the apps. 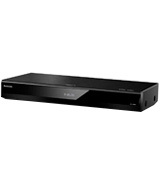 The best model of Blu-ray players in its price range available on the market, with a great number of features, video services, and intuitive controls. The Deep Colour technology increases the brightness and colour saturation while the xvYCC ensures a wide colour gamut. The Noise Reduction feature removes noise from the audio signal. The player lacks pre-installed Internet services. 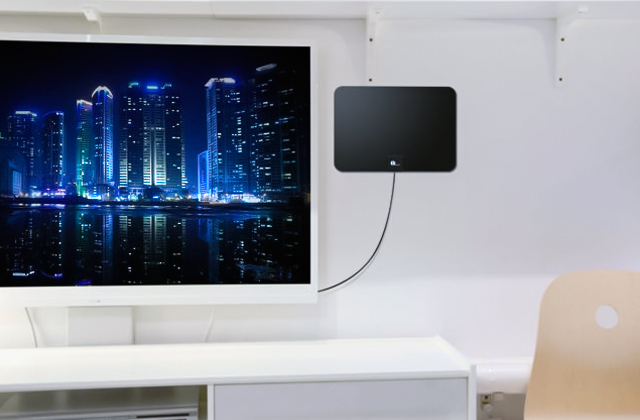 This budget-friendly player will surprise you with outstanding quality and vividness of the picture while its compact and curved design will blend perfectly with any interior. The Ultra HD video format is one of the most popular and widespread image resolutions among both consumers and manufacturers of digital equipment. And it is not surprising since such a high-quality picture virtually immerses you into the action on the screen. 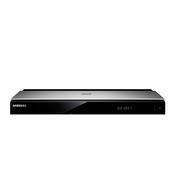 So, when speaking of the Samsung UBDK8500 Blu-Ray player and the quality of image it reproduces, we can assure you that the participation effect is guaranteed. The player reads 4K UHD Blu-Ray discs and offers the resolution of 3840x2160 pixels without upscaling it. Additionally, the player comes with one more upgrade - HDR technology (High Dynamic Range Imaging) that enhances picture quality and ensures brighter whites, deeper blacks, and wider colour gamut with true-to-life colours. What's more, the front-panel 3.0 USB port is designed to provide a user with a super-fast reading speed from external HDD drives up to 5 Gbps versus 480 Mbps for a regular 2.0 USB port. 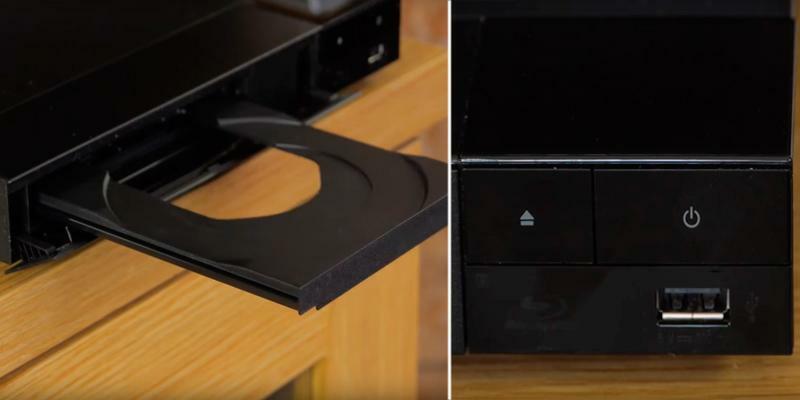 We'd also like to say that the owners of curved TVs would highly appreciate the new design of the Blu-Ray player since it has a curved shape and would perfectly match their TV. 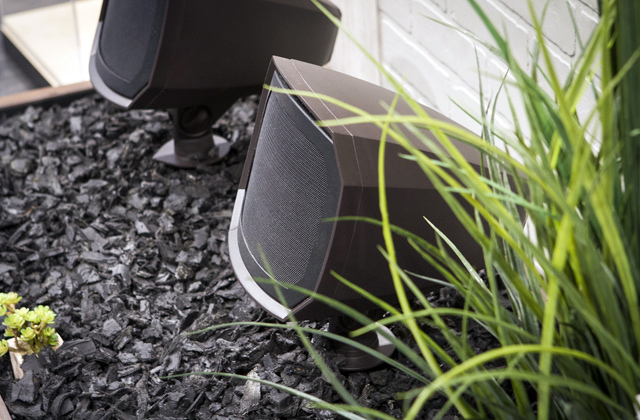 All in all, the given player is the perfect choice for high-tech and high-quality picture connoisseurs. The Panasonic DP-UB820EBK is as good as Blu-ray players come. It has a lot going for it but by far the most attractive and discerning part of this device is the HCX colour processor that's designed in collaboration with the best Hollywood colourists. The result of that collaboration is a player that delivers blacker blacks, whiter whites, radiant contrast, and the sort of colour range that truly does justice to the director's vision. The colours that you get feature far greater definition, so you end up with a vivid, dynamic, and vibrant image. The processor later interpolates the signals into the player's native ultra HD 4k resolution, leaving you with visuals rich in depth and natural texture. Other than that, what you get from this Blu-ray player doesn't differ that much from your usual high-end deal. Just like most of these models, the product in question supports HDR playback of HDR10+ dynamic metadata. It is compatible with both Hybrid Log-Gamma and Dolby Vision, so you end up with the most precise image expression. The tone mapping is present as well. In simple terms, it works wonders adjusting the brightness level of the content. This way, you get to experience pretty much the same exact image that was envisioned by the filmmakers. 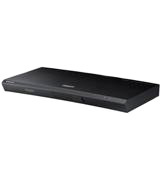 Taking all of the above into account, the Panasonic DP-UB820EBK is everything people have come to expect from high-end Blu-ray players and then some for good measure. It has its flaws but they pale in comparison to everything that the model has to offer. 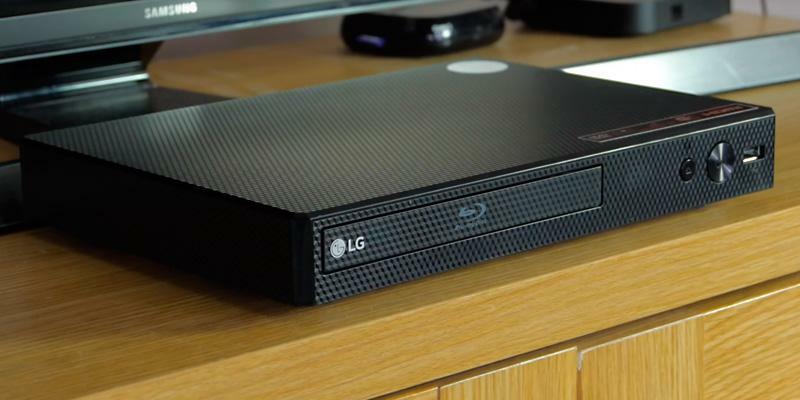 You may wonder what differs one Blu-ray player from another one considering that most of them offer pretty much the same playback capabilities, brilliant sound, and great picture quality. 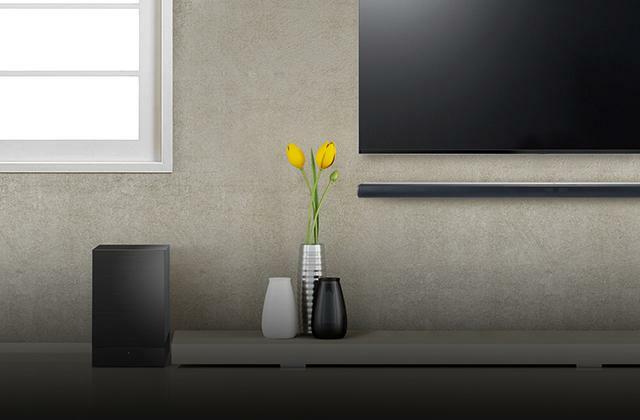 Well, speaking about the Sony BDP-S6700, the most prominent feature that sets this player apart from the competition is the Bluetooth connectivity completed with the LDAC codec. 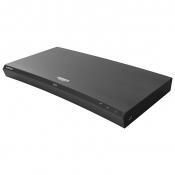 Thus, you can use the Blu-ray player as a part of a home entertainment system. What's more, the player has a built-in Wi-Fi module with a multi-antenna design resulting in a stronger signal and faster data transfer. 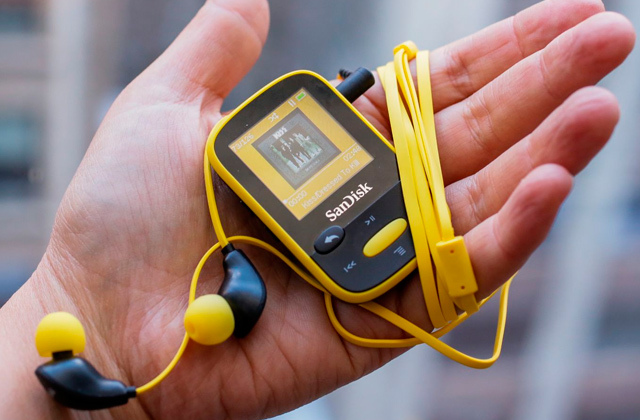 However, to pair all the devices with a multi-room sound system and have an ability to control them from a smartphone, you should download and install the SongPal Link app for iOS or Android devices. Once connected to the Internet, you get access to the number of applications such as YouTube, Netflix, Amazon Prime, etc. 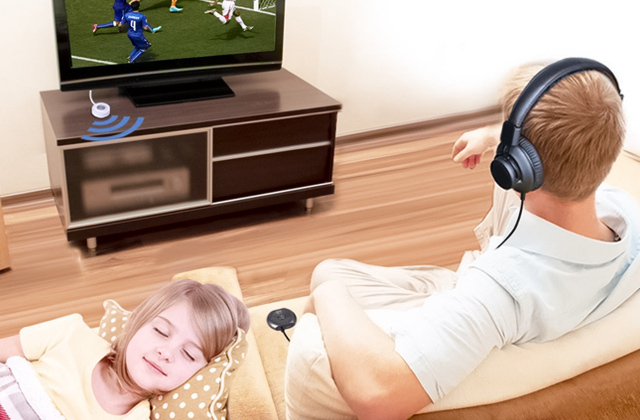 and can control the player through a smartphone or tablet via the Video & TV SideView app. The player is also fitted with a simple remote if you prefer traditional control methods or you don't want to bother with Bluetooth synchronization. 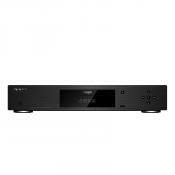 All in all, if you want to purchase a high-performing player at a competitive price, the Sony BDP-S6700 will perfectly meet your requirements. The BDP-S3700l Blu-ray player from Sony is one of the best models of Blu-ray players at this price. Why? 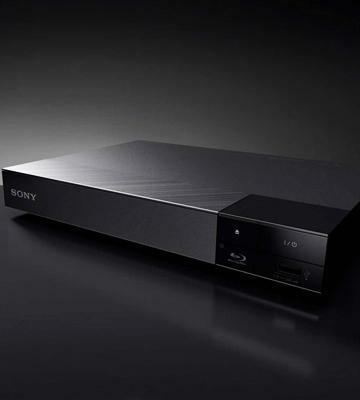 First of all, the Blu-ray player has a wide variety of built-in audio and video codecs and as the manufacturer claims the player reads 26% more file formats than the previous models from Sony. 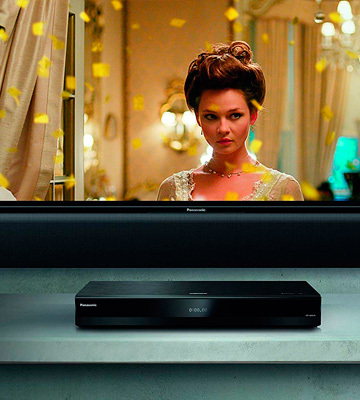 The Blu-ray player reads even High-Resolution Audio and .mkv files! 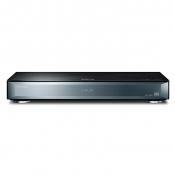 Secondly, the Blu-ray player features the TRILUMINOS technology that guarantees a wider range of colours with realistic shades and true-to-life tones. Concerning the interface, it is quite simple and intuitive and you'll have no problem handling it. 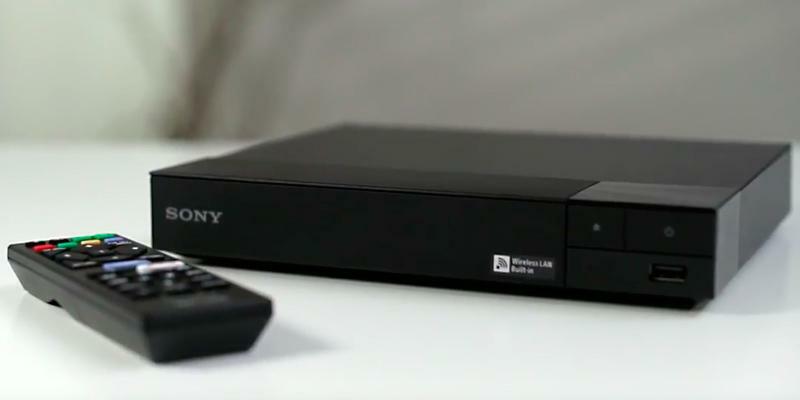 On top of that, the Sony BDP-S3700l Blu-ray player is able to launch PlayStation 3 games right from the player without a game console. However, you should download PlayStation Now app and purchase a PlayStation DualShock 4 controller. This player is truly fantastic and offers the infinite entertainment at the price affordable for the majority of users. 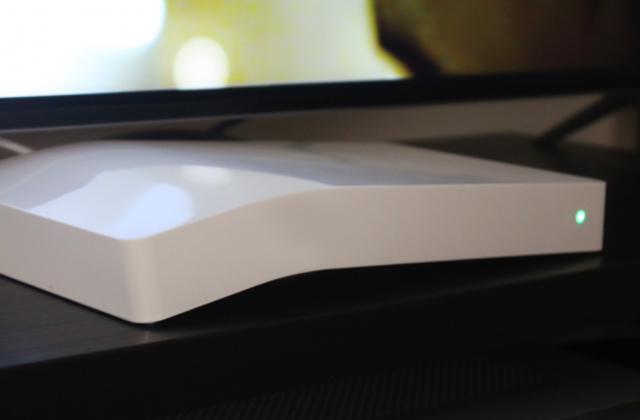 Additionally, the built-in multiple Wi-Fi antennas guarantee a smooth streaming of movies, shows, and sportscasts. 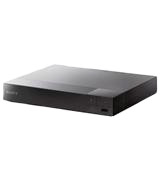 As you can see, this Sony Blu-ray player is wallet-friendly but can easily compete with pricier models in terms of performance and functionality. 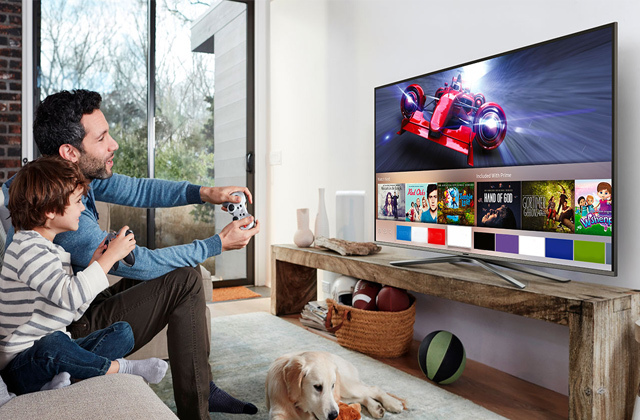 It is quite hard to imagine that a budget choice player like the LG BP250 can surprise a consumer with some groundbreaking features. Though, the device will definitely throw a curve with its supported resolution of 1920 x 1080 pixels (Full HD) resulting in lifelike imaging. Such vividness has been achieved in large part owing to the Deep Colour technology that increases the brightness and colour information while the xvYCC ensures significantly higher saturation and a wider colour gamut. We should also make a note of the Noise Reduction feature that removes noise from the audio signal and thus, adds to the overall picture quality. What is also important, it is quite easy to manage the player, pre-set a parental control or update the operating system with USB flash or CD disc. To make the device's use even more convenient, the manufacturer has equipped it with Screen Saver and Last Scene Memory features which will blank the screen when the Blu-ray player is not in use and resume the playback from where you stopped it. 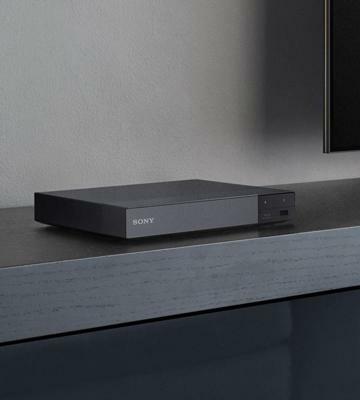 Top it off, the Blu-ray player has a super compact and design, offering more free space for placing an additional audio system or some other equipment without spoiling your room's style. Summing up, we may say that this model is the stuff but not the fluff! A lot of features differ modern Blu-ray players from their predecessors that were released only a few years ago. 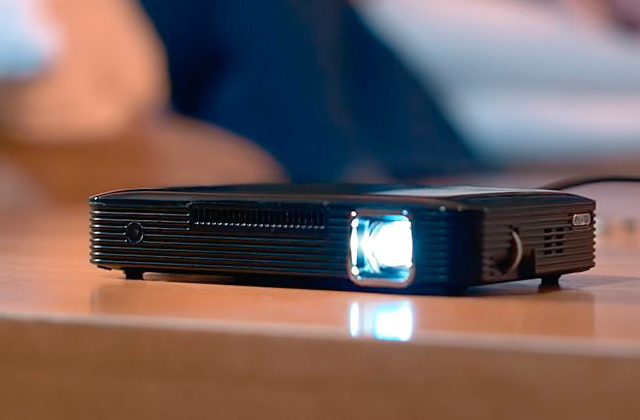 Nowadays, they not only read 3D discs and support high-quality images but also connect to the Internet and stream videos online. Despite the fact that today we don’t really need special devices to play discs, these Blue-Ray players are still in demand among users, especially those who have built up a collection of hits and favorite movies recorded on CDs or DVDs. At the end of the day, a Blu-ray disc is still by far the best physical storage solution. So, to make things clear, this review will focus on the best Blu-ray players available on the market today. 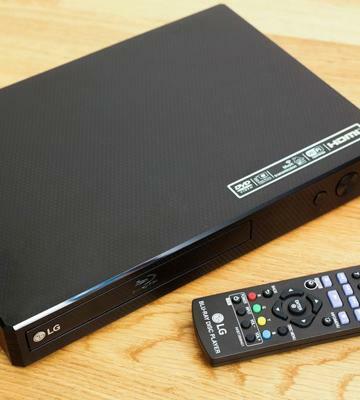 The range of capabilities of DVD players is pretty basic and well-known, so no introduction needed if you plan to purchase a brand-new DVD player. 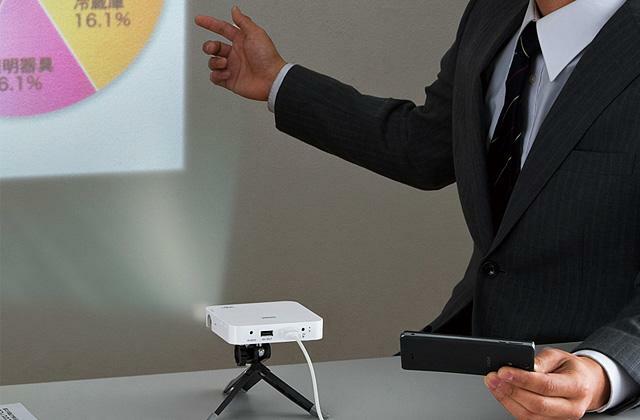 Or you could go in a different direction and acquire an HD projector. First of all, consider Blu-Ray player's compatibility with different discs and media file formats. Apart from standard compact discs like CD, DVD, and VCD, such media players support older formats and Blu-ray discs. Blu-ray – is an optical disc data storage format capable of storing the highest level of image quality: Full HD (1920 x 1080 pixels) and Ultra HD (3840 x 2160 pixels). Check those models that support the max resolution to play all-time-favorite movies in high clarity with vivid colours. In addition to the standard MP3, JPEG and AVI formats encoded by DivX / XviD codecs, all modern media players are capable of reproducing a large number of other popular multimedia formats, such as MKV and MP4 video. Although 3D movies didn’t get quite a lot of popularity from the audience, a three-dimensional video is still firmly established in the market of home theaters, so if you are interested in watching 3D-movies, make sure that your player has a Blu-ray 3D support and a 1.4 HDMI interface. The list of supported formats should be clarified in the description of the model. Another important feature to consider is the functionality of a device. Perhaps the main peculiarity here is the access to a different premium content via the Internet. Various services may include a huge selection of movies, TV-series, and shows for all tastes. In other words, pre-installed apps and services provide users with functional capabilities that Smart TV offers. With a Blu-Ray player and different online services such as Netflix, Vudu, Hulu Plus, YouTube, Amazon Instant Video you can stream movies and TV-series on your TV. However, there is a need for the Internet connection, and some devices may be connected either by a cable or Wi-Fi. 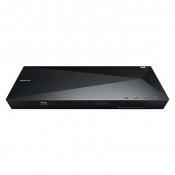 The availability of the DLNA (Digital Living Network Alliance) function is also preferable. This way you'll be able to access photos, movies, and music stored on your devices like PCs, smartphones, and tablets wirelessly. But they must be connected to the same home network to work properly. It’s also possible to transfer content from mobile devices with the help of a screen overlap function (Miracast). In this case, the connection is performed via Wi-Fi Direct technology, which means that you do not even need to access a Wi-Fi network. Alongside the main features, it’s worth mentioning that some SONY players have a special mode that supports PlayStation 3 games on your TV. No more PS3 console needed to play your favorite games, just connect to a compatible cloud service, connect your PS controller and subscribe to the channel. And the last features you should pay attention to are the Interfaces and player's control. If you need to connect a Blu-Ray player to the older TV models it would work well with SCART, Component and Composite inputs. For people who own modern TVs, we'd recommend opting for a player with HDMI jacks. It will ensure that your sound and video are transmitted in a digital format. You can easily connect your Blu-Ray player to the Internet through a LAN port. And models with USB-ports will give you an ability to reproduce video and music from different HDD connected to a player. 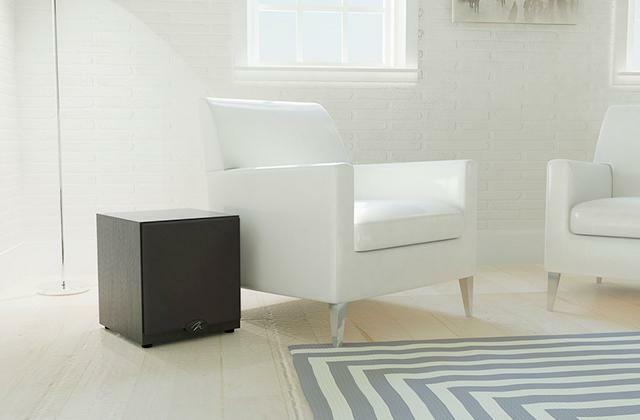 At the same time, to play sound via the external acoustic system, you should consider the number and types of audio outs, which can be either digital optical, or coaxial with analog stereo outputs. 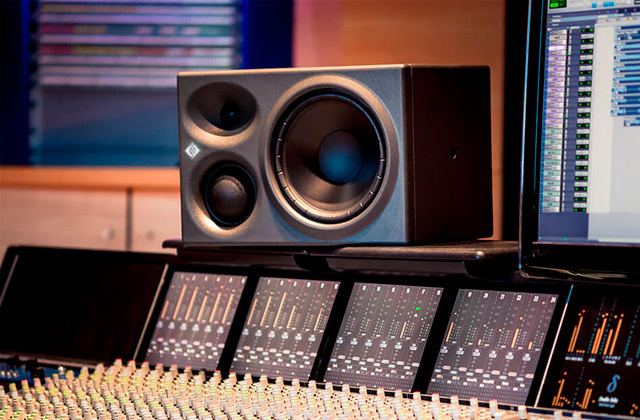 If you are going to connect your device directly to the screen, make sure that your player has all the necessary audio codecs to produce a high-fidelity audio signal. Typically, it is subject to DTS-HD and Dolby True HD formats that cannot be decoded by inexpensive Blu-Ray players. 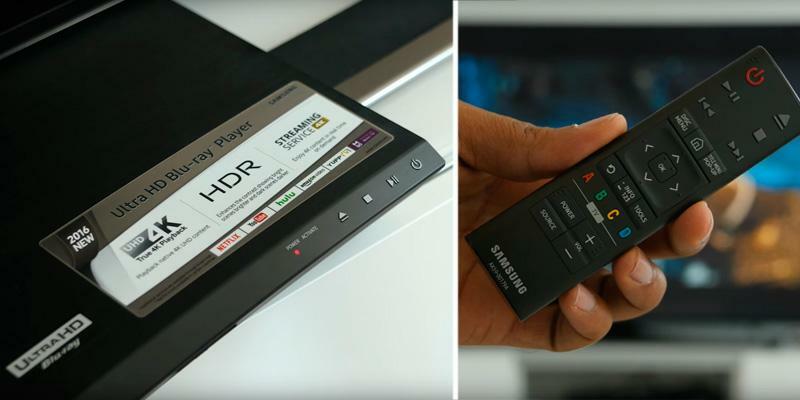 All Blu-Ray players can be controlled in 2 ways: either via a standard remote included in a box or via your mobile phone (requires a special app installation first). 1. Elisa Roberts How to buy the best Blu-ray player, Which? 2. 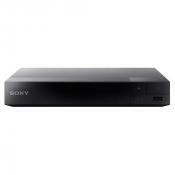 Tony Sanchez Blu-ray Player Buying Guide, Blu-ray.com. September 29, 2012. 3. DVD & Blu-ray buying guide, John Lewis. 4. Blu-ray players, Consumer Reports. 5. 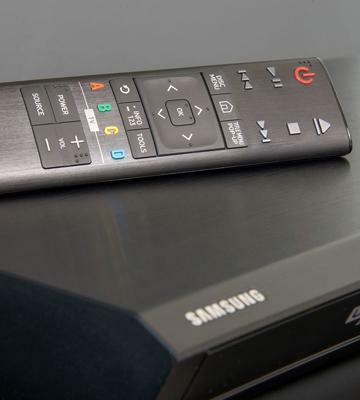 Steve May Blu-ray player buying guide, CNET. January 4, 2012.